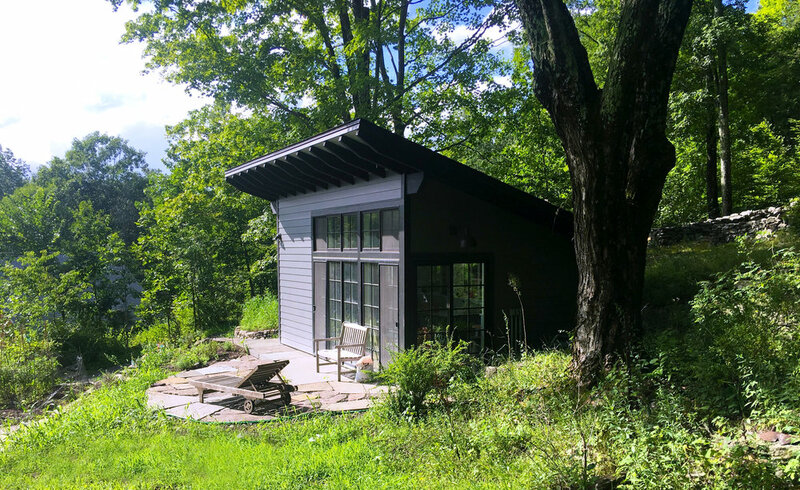 We created this 246 square foot studio with a generous southwestern exposure and passive cantilevered roof coverage for an aspiring ceramic artist. 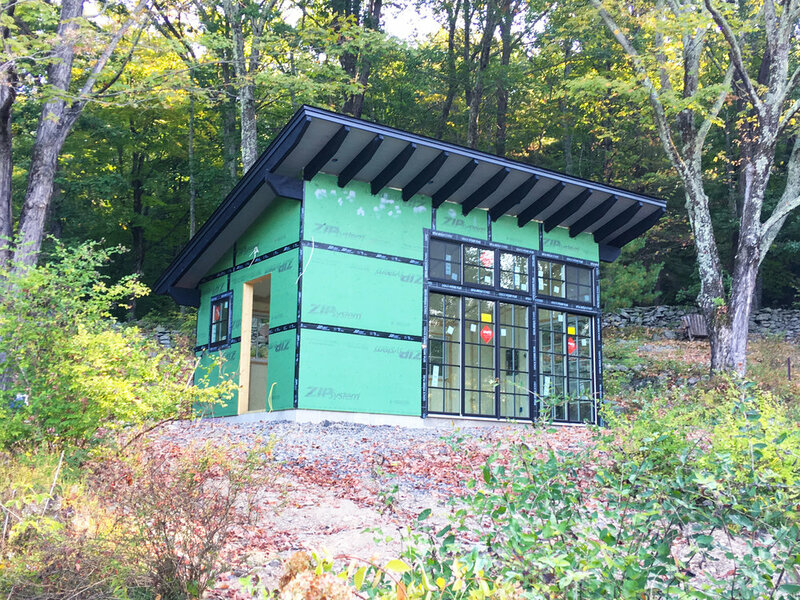 Inspired by local agrarian features, this new structure takes its cue from nearby chicken coops, but transforms with careful window, door and exterior material detailing. 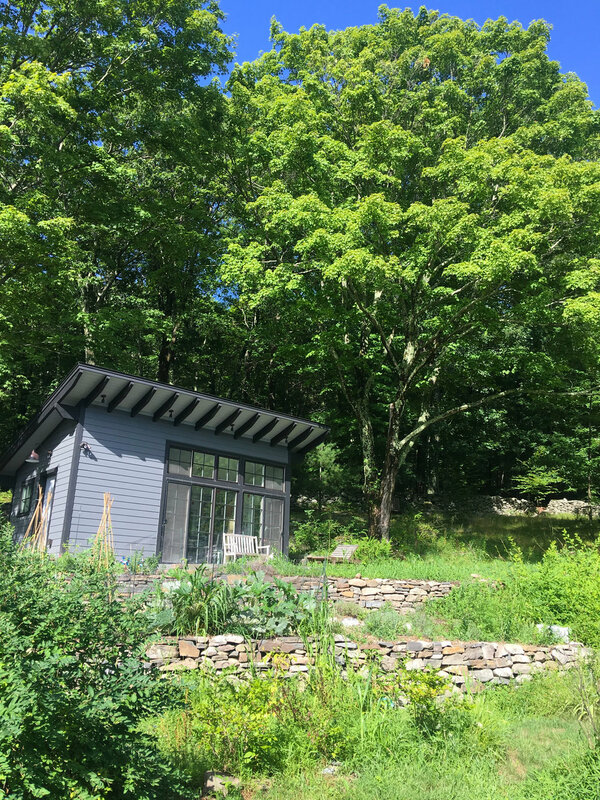 Built upon the tailings of an early bluestone quarry, the exterior landscaping includes the integration of existing adjacent ledge outcropping, dry laid bluestone walls, steps, and terraces with a mature hardwood canopy. 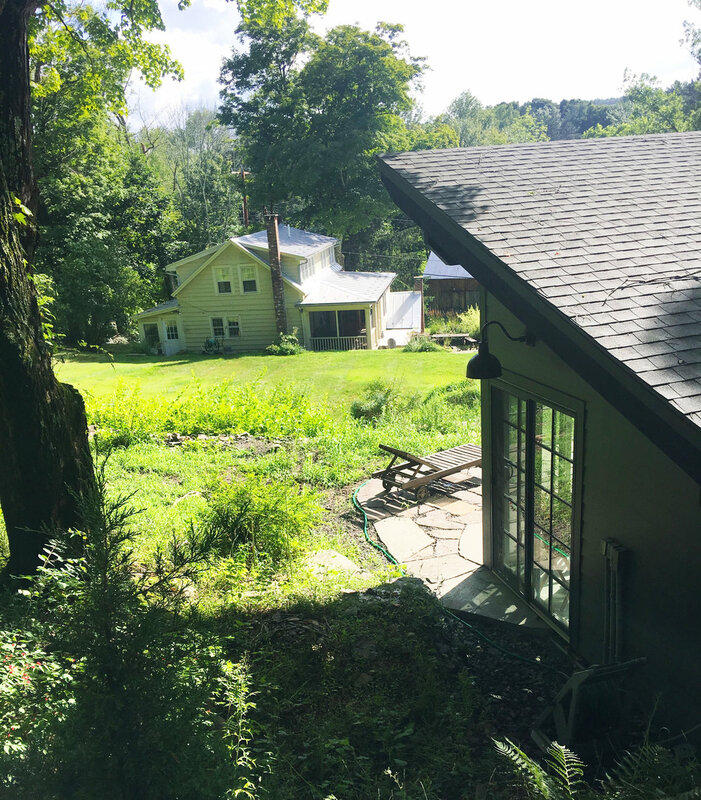 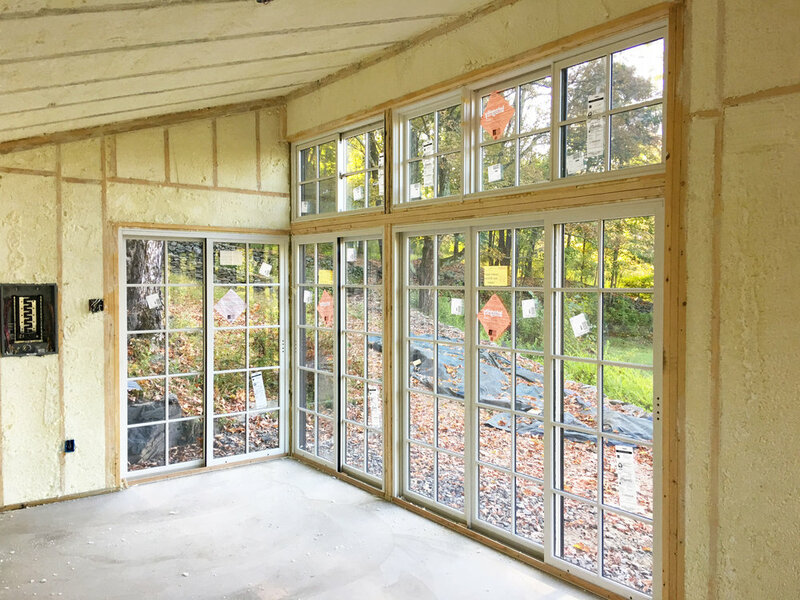 Planned for year round occupation (although with easy season shutdown mode), amenities include: in floor radiant heating, slop sink, floor drains, insulated windows and doors, code compliant (spray foam) insulation envelope, and indirect lighting.